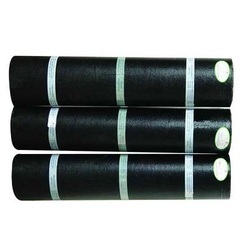 Providing you the best range of polymer bituminous membranes, bituminous membrane, tpo membranes, waterproofing membranes, tar felt and self adhesive membrane with effective & timely delivery. 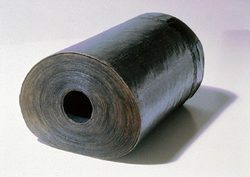 Being a client centric organization, we are involved in providing our clients with a unique collection ofPolymer Bituminous Membranes. 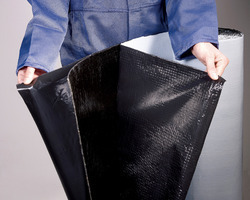 The offered membrane provides protection from water leakage issues. This membrane is manufactured at vendor’s end using superior quality raw material and progressive technology as per the standard of the market. Our offered membrane can be availed from us at market leading rates within a promised time frame. Being a client centric organization, we are engaged in offering a comprehensive range of Bituminous Membrane. We are an authorized distributor of all the products manufactured by STP Limited. TPO membrane is a heat-weldable single-ply thermoplastic polyolefin (TPO) sheet designed for new roof construction and reroofing applications. It is formulated with additional flame retardant (compared to Standard) for higher slope fire code approvals. TPO membrane is based on advanced polymerization technology that combines the durability and weather ability of ethylene-propylene (EP) rubber with the heat weldability of polypropylene. The membrane is specifically formulated for long-term weather resistance without the use of either polymeric or liquid plasticizers. Physical properties of the membrane are enhanced by a strong, polyester fabric that is encapsulated between the TPO based top and bottom plies. The combination of the fabric and TPO plies provide Sure-Weld reinforced membranes with high breaking strength, tearing strength and puncture resistance. The relatively smooth surface of TPO membrane produces a total surface fusion weld that creates a consistent, watertight monolithic roof assembly. The membrane is environmentally friendly and safe to install. Hot melt extrusion processed for complete scrim encapsulation. 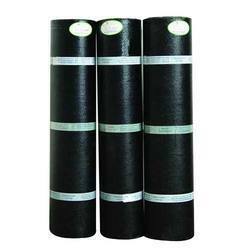 We are offering Bituminous Waterproofing Membranes to the clients. 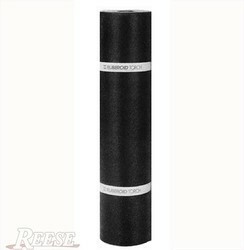 We are offering high-quality Tar Felt. These designer shingles are developed with modern techniques and superior quality material as per with industry norms. The varied range allows the most suitable choice of façade finish. Also, our designer shingles are provided in customized options as per the needs of clients. We are offering an extensive range of high-quality Self Adhesive Membrane. These designer shingles are developed with modern techniques and superior quality material as per with industry norms. Shibam's APP Polymer Modified Bituminous Membrane is a uniquely formulated pre-fabricated elastomeric waterproofing membrane with the spun bonded polyester mat at its core. It has an excellent resistance to weather and ageing. 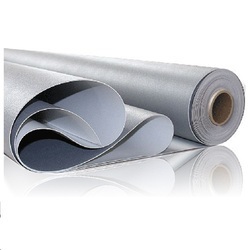 The core of 160 gsm spun bonded non-woven polyester mat offers an excellent tensile strength, elongation and a superior lap joint strength. The polymer modification of bitumen with Atactic Polypropylene (APP) results in an excellent resistance to hot and cold temperatures. This membrane forms an impervious, flexible waterproofing layer which can withstand normal movement of the structure without showing any deterioration and serve for a prolonged period of time. Being a client centric organization, we are engaged in offering a comprehensive range of APP Waterproofing Membrane. These membranes are procured from the authorized firm called STP Limited, which manufactures these products in compliance with all the industry standards. We are an authorized distributor of all the products manufactured by STP Limited. Ready Stock available at any given time and lowest rate guaranteed. Tarfelt is a hessian based bituminous waterproofing felt. Tarfelt is produced by saturating hessian with straight grade bitumen & coating it with a special grade of oxidized bitumen compound. This combination gives proven waterproofing qualities of bitumen & ease of application. Tarfelt offers total impermeability to water. It has good strength, bondability and seam integrity. Tarfelt is easy to repair & maintain. With the valuable assistance of skilled team of professionals, we are offering an extensive SBS Membrane waterproofing service. Also, our designer shingles are provided in customized options as per the needs of clients. EverGuard TPO Waterproofing Membrane 45 mil - Best In Class Synthetic Waterproofing Membrane. Great Value — Superior performance at a cost-effective price. 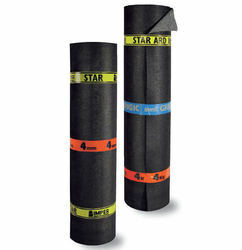 Excellent Seam Strength — Heat-welded seams provide greater seam strength to taped and other seams. - After accelerated heat ageing at 275°F (135°C) for 105 days, EverGuard® TPO showed no cracking—while every one of the competitors’ samples had failed! Mechanically Attached Application... for a quick and cost-effective system that can be installed practically year-round. Adhered Application... can be installed with EverGuard® 1121 Bonding Adhesive (solvent-based), EverGuard® Low VOC Adhesive, or EverGuard® WB181 Bonding Adhesive (water-based) for the smoothest appearance. Provides superior wind uplift performance. Field fabrication of TPO accessories is time-consuming, costly, and inconsistent, and can lead to unreliable details that compromise a watertight roofing system. EverGuard® TPO prefabricated accessories deliver consistent quality and eliminate the worry and problems often associated with field fabrication. They can also boost productivity up to 200%,** while reducing installed cost by up to 12%.